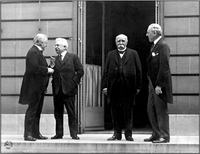 Date is exactly "1919 May 27"
President Woodrow Wilson, M. Clemenceau, Singor Orlando and Mr. Lloyd George. 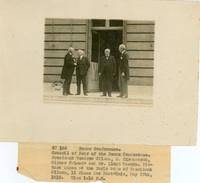 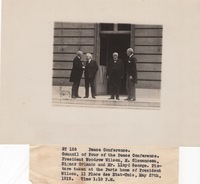 Picture taken at the Paris home of President Wilson, 11 Place des Etat-Unis, May 27th, 1919. 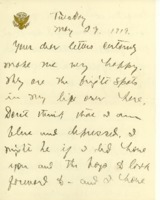 Time 1:10 P.M.